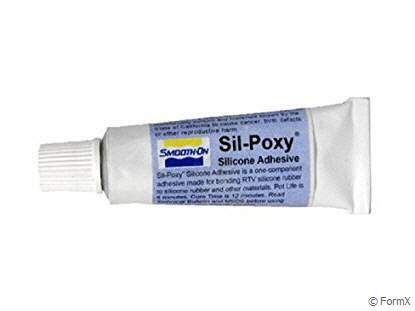 Sil-Poxy™ is a one component adhesive made specifically forbonding Smooth-On RTV moldmaking silicone rubbers to silicone rubber and other substrates including some plastics (urethane), plasters/ceramics, fabrics, etc. 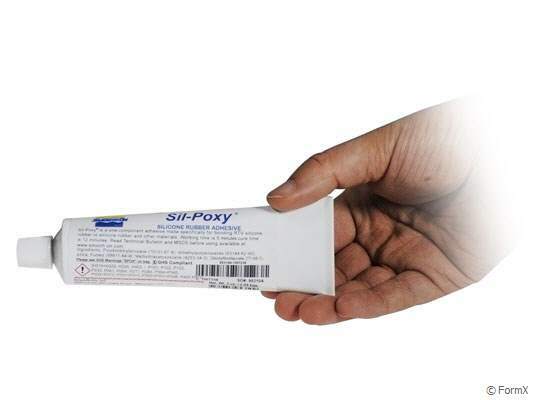 Sil-Poxy™ will work with tin- or platinum-cure silicones and provides a strong, flexible bond between silicone parts with high elongation. Can be colored with Silc-Pig™ silicone pigments. Cured adhesive resists weathering, moisture, UV and high temperatures. Can be used repairing torn silicone rubber molds.